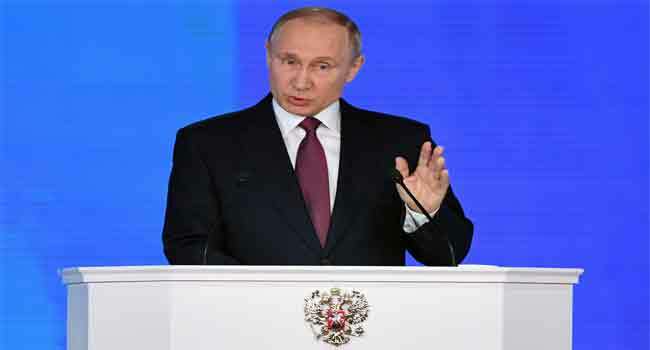 Russia on Tuesday rejected Britain’s demand that Moscow provides an explanation over the poisoning of an ex-double agent and said London should provide Moscow with access to the nerve agent. “Before giving ultimatums it’s better to honour your own obligations on international law,” Lavrov told reporters, referring to the Chemical Weapons Convention. Russia’s top diplomat said that Britain should have sent Moscow an official request about the substance used on its soil. Lavrov said Russia had not received such a request and also demanded to be given access to the Russian-made nerve agent used to poison former double agent Sergei Skripal and his daughter Yulia. “If the procedures stipulated by the convention will be implemented I assure you that Russia will fulfil its obligations,” Lavrov said. He insisted that Moscow was not to blame for the poisoning of the former agent said it was ready to cooperate with London. “Russia is not guilty. Russia is ready to cooperate according to the Chemical Weapons Convention if Britain takes the trouble and condescends to carry out its international obligations according to the same document,” Lavrov told a press conference. Separately, a spokeswoman for the Russian foreign ministry, Maria Zakharova, said the ministry had summoned the British ambassador, Laurie Bristow, amid the escalating poisoning row.